The Coumpy family before they were torn apart by DCS. Photo source: Parents Protecting God’s Children  Facebook page. 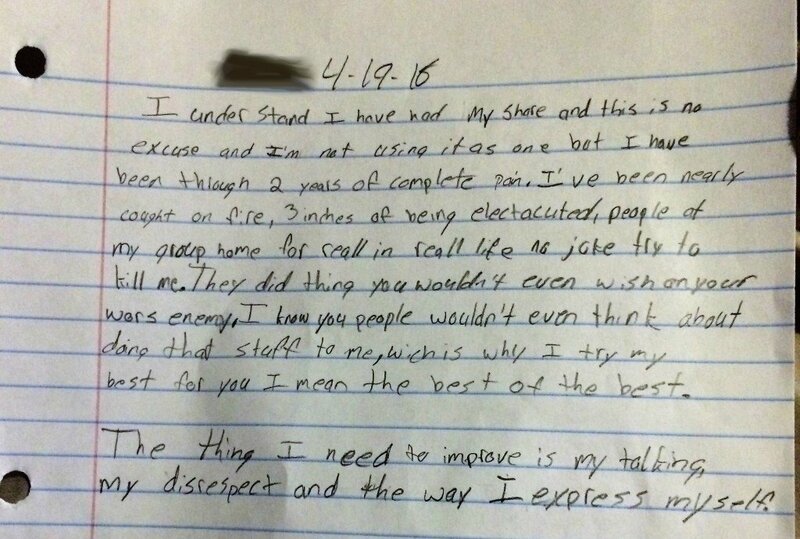 A young Arizona boy wrote a heartbreaking letter to his teacher describing the horrors that he saw while he was in a group foster home. Had the things that he talked about happened in his own family home, the teacher would have been mandated to contact Child Protective Services, and a social worker likely would have taken him from his home before the day was out. However, the incidents happened under state custody, and it was almost a month later that the teacher told the boy’s mother about the letter. As hundreds of parents have reported to Health Impact News, the real abuse and dangers in foster care were swept under the rug by social workers, while minor incidents or accidents that happen in loving family homes are turned into major catastrophes that Child Protective Services must rush in and address. The children of Arizona mom, Aprilli Coumpy ,were taken from her by the Department of Child Safety (DCS) in March of 2015 over an accidental injury involving spilled Ramen noodles. The children spent almost 2 1/2 years in various foster and group homes before they were finally returned home. Their case was closed on August 15, 2017. The separation traumatized the children and their mother, and they are in counseling as they try to heal and move forward from the harm caused by those charged with protecting families. Aprilli still doesn’t know everything that happened to her children, but she does know that they are not the same. While certainly they are happy to be together again, shadows and scars remain. Every now and again, something triggers painful memories. Something comes out of her children’s mouths that she knows did not come from anything that happened at home, or they exhibit a behavior that shows that they were exposed to things children should never be exposed to. One of the Coumpy children after they were returned home. Photo source: Parents Protecting God’s Children  Facebook page. As the end of the school year approached, Aprilli got a phone call from her now 11-year-old son’s teacher who wanted to prepare her for something that she would see in the packet of papers that was sent home with her son that day. It was a letter that the child had written and given to his teacher, and it described disturbing things that he had been through at a group foster home. Aprilli called Health Impact News in tears when she read the letter. She knew that her children had suffered in foster care, but the letter brought that reality into sharp focus. … I have been through 2 years of complete pain. I’ve been nearly caught on fire, 3 inches of being electrocuted, people of my group home for real in real life no joke try to kill me. They did things you wouldn’t even wish on your worst enemy. This is the letter that one of Aprilli Coumpy’s children wrote to his teacher. His name has been blotted out to protect his privacy. He and his family want people to see what he went through at the hands of the state. All the bad stuff happened in the second group home. He said that older boys in the home would try to catch him on fire by throwing lit matches on him while he was in bed. The couch was literally on fire. He said that most of the staff paid no attention to what was going on in the group home and did nothing to stop the destructive behavior that happened. One of the staff members reportedly allowed the older boys to buy condoms and cigarettes. The Coumpy child said that the boys were using the condoms as water balloons to throw on people. He made it very clear that he feels much safer in his mother’s care than in Child Protective Services custody. He told us that he tried to leave and walk away from the group home several times because it was so bad, but he would return because he didn’t know where he was or how to get to his family. No one looked for him, he said. Other children ran away as well, he continued, but most of the staff would not even look for the children. A few of the staff, he said, would tell the boys to stop dangerous behaviors and would search for children when they ran off, including Dustin, Laurie, and Alexis. Another staff member, whose name he cannot remember, also seemed to care, but he was fired when those who run the home found out that he was allowing some of the children to call their parents. 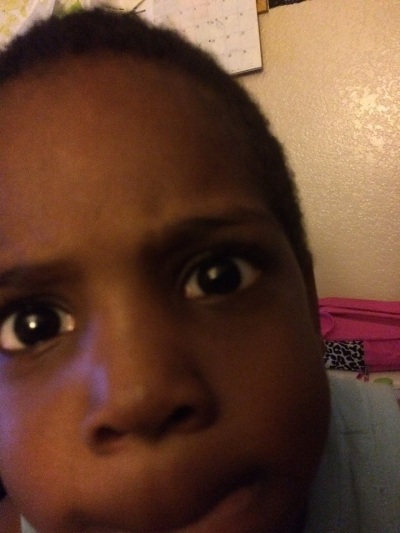 Neither the child nor his mother know the name of the group home nor where it is located. The only information that we were able to track down was that the child was enrolled in Stevenson Elementary school in Mesa, Arizona, at the time. The group home is located somewhere in that school district. At the time the Coumpy child was there, it housed approximately 10 children. 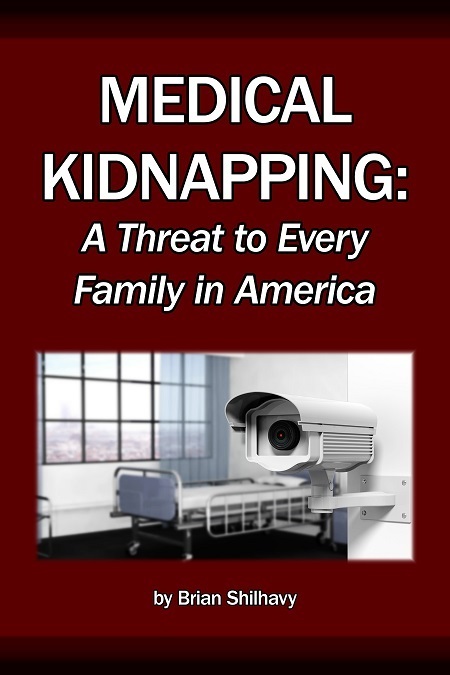 Parents whose children are taken from them frequently have no clue where their child or children are being held. They are not privy to any information about the conditions their child is living in or the kind of people who their children live with. They find themselves in the frustrating position of being completely powerless to protect their children. Most of the visits, Aprilli told us, happened in a small room that DCS used for visitation. She had 4 hour visits at a time with 4 of her children in the little room. For part of the time that the Coumpy children were in foster care, they were all together in the same foster home. At other times, they were separated. When the boy who wrote the letter was in the group home, his other siblings were not with him. They were together in the beginning of their time in the system. Even then, Aprilli reported that the children would show up at visits with signs of being hit and abused. In one of the first foster homes where they were together, the children told of the older children at the home throwing their then-1-year-old baby brother into the deep end of the swimming pool, “as a joke,” without any floaties or other safety device. The older siblings would have to jump into the pool and rescue their brother while the people at the house laughed at them. 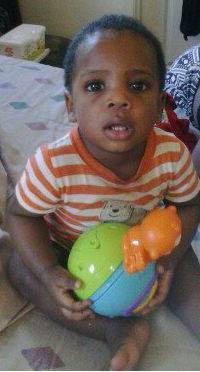 The youngest Coumpy child was only a year old when he was taken from his family. Photo source: Parents Protecting God’s Children  Facebook page. The baby is now 4. He verified that they threw him into the pool. He said that they scared him and did bad things. His siblings told our reporter that sometimes the foster parents were home when it happened, but sometimes they weren’t there, leaving older children in charge. Ironically, “lack of supervision” was cited by DCS as a reason for them taking the children away from their mother. As we have reported many times before, the standards for foster parents often seem to fall far below the criteria for real parents keeping their own children. 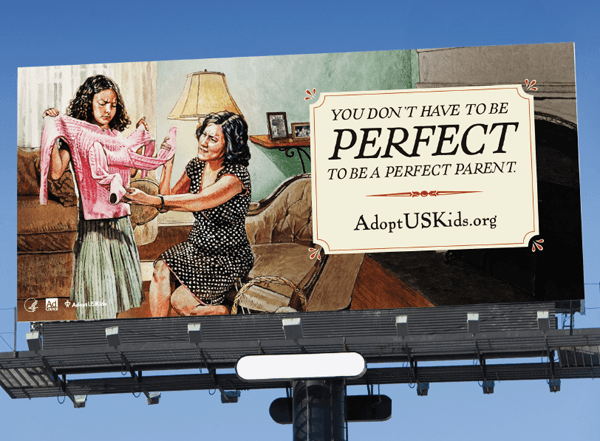 The federal government even advertises that foster and adoptive parents don’t have to be perfect in the Ad Council ‘s AdoptUSKids campaign. The government recruits foster parents and adoptive parents who “don’t have to be perfect” but routinely takes children away from biological parents if they are less than perfect. During our recent interviews with the Coumpy family, it is apparent that the children love each other and their mother. There was the sound of happy children playing in the background – children just being children. As we stated in our original coverage of the Coumpy family story, the reason that DCS got involved with their family was over an accidental injury – something that could happen to any normal family. There was no abuse involved, nor was there anything that any reasonable person would conclude was neglect. Aprilli’s 6 and 7-year-old children woke up before she did on a Sunday morning and decided to fix breakfast. In the course of trying to help their mom out, they accidentally spilled hot Ramen noodles on their 2-year-old brother’s leg. Aprilli promptly called the doctor’s office. She herself is trained as a medical assistant and phlebotomist. She followed the nurse’s instructions to treat her son’s injury. She reports that she treated the burn with neosporin and aloe vera covered with a gauze dressing, as well as applied ice packs, per the nurse’s instructions. The nurse reportedly did not seem worried and told Aprilli to watch for signs of infection. They scheduled a follow-up doctor’s appointment. It was the day care center that called Child Protective Services. The family’s doctor wrote a letter to DCS stating that it was an accidental injury and that the mother acted appropriately, but to no avail. DCS was involved, and it took years of court battles for the Coumpy children to be returned to their mother. Will DCS Continue to Get Away with This? Aprilli is working hard to help her children heal from the trauma they endured in foster care. She is still searching for a civil rights attorney to help her file a lawsuit against DCS. It is not about money, she says. She wants those who hurt her children, those who continue to hurt other children, to be held accountable for their actions. 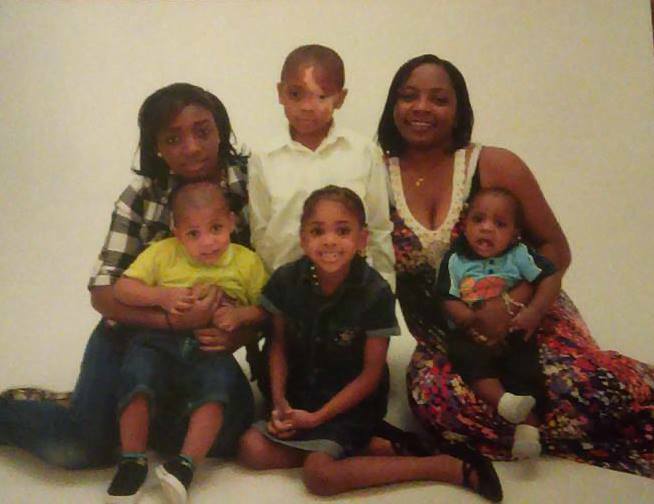 The social worker who took her children, Lisa Millett, is reportedly still working for DCS. Neither she nor any of the other DCS workers who put the Coumpy through needless suffering have been held responsible. They continue to work at taxpayer expense with impunity. The foster homes and group home that caused the “2 years of complete pain” to the boy who wrote the letter have not been held accountable for the pain they caused him and his siblings. The name of the group home remains a mystery to the family, but it is not a mystery to DCS. The Department of Child Safety and social worker, Lisa Millet, surely have a record of the home. We were unable to determine how many group foster homes there are in the Mesa, Arizona area, but we found that there are 26 different foster care licensing agencies in Maricopa County alone. 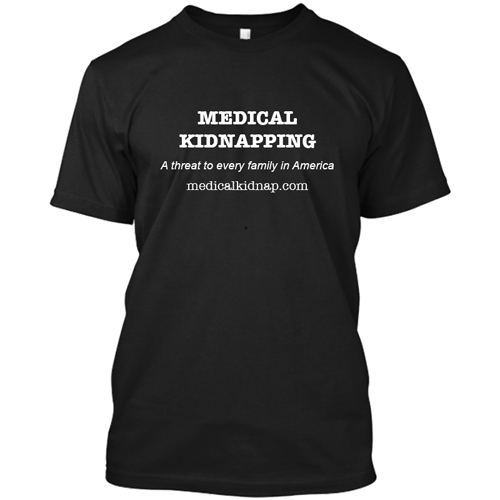 (See link .) Mesa is a suburb of Phoenix. Both are located in Maricopa County. 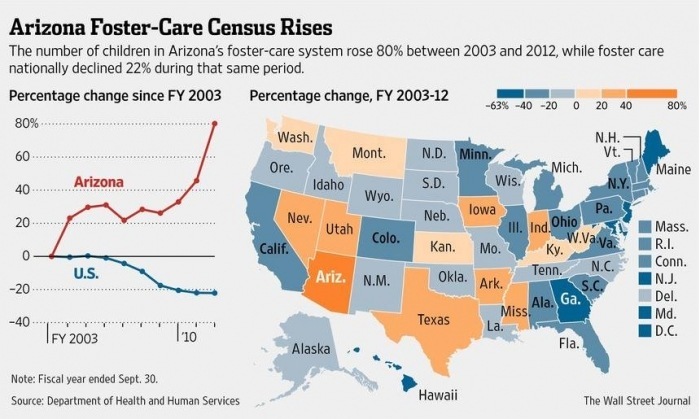 Foster care is big business in Arizona, the state which takes more children than any other state in the United States. There is virtually no accountability for those who take children from families or for those who profit from having the children in their custody. When will this untenable reality become egregious enough for the masses to call upon our leaders to put a stop to it? How many other children will be separated from normal, loving parents all over the country, before those responsible are held accountable? Will the people responsible for this little boy’s pain continue to get away with their actions, or will the people of the United States demand that they be held accountable? 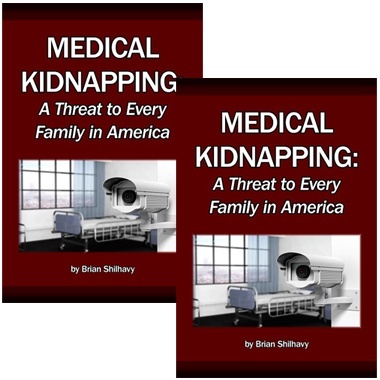 If you are an attorney willing to look into this case, or if you know of one, please contact Health Impact News or the Facebook page set up to support the family called Parents Protecting God’s Children . Governor Doug Ducey needs be called upon to put a stop to the separation of children from innocent families by DCS. He appointed Greg McKay as the director of DCS. The DCS agency and the actions of the DCS workers are ultimately the responsibility of Governor Ducey. He may be contacted at 602 542 4331 or reached here . He is also on Facebook  and Twitter . Representative Kevin Payne represents the Coumpy’s district. 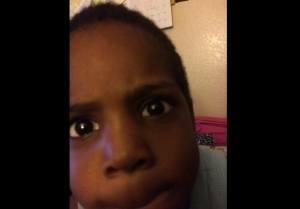 He may be reached at 602 926 4854, or contacted here . The Senator for their district is Senator Frank Pratt. He may be reached at 602 926 5761, or contacted here . The number to the White House comment line is 202 456 1111. President Donald Trump may be reached on Twitter here .